A FIFA World Cup winning star, who played alongside Diego Maradona, had his say on who the best Argentine footballer ever is. Lionel Messi and Maradona, two footballing greats, have long been subjected to comparisons and wide-spread debate regarding which of them can rightly be considered the greatest player ever to hail from Argentina. Hector Enrique, who was part of La Albiceleste's 1986 FIFA World Cup-winning squad, has now weighed in on the topic, claiming Messi will never reach Maradona's level. "Messi, unfortunately, has had a hard time in the national team," he told Ataque Futbolero. 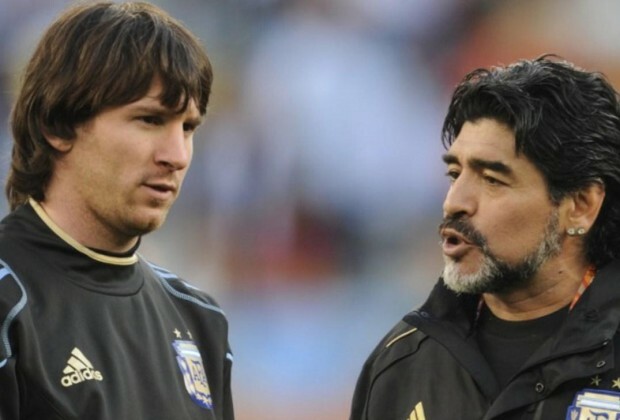 "I hope that in the next World Cup he will have the luck we had, but Messi will never reach Maradona's level. "What I want is for Messi to play. "If he is not having a good time (in the team), it's better not to come." Messi is Argentina's record goalscorer with 65 goals in 129 encounters, while Maradona only managed 34 goals in 90 encounters for the national team. If you had to choose between Maradona or Messi, which player would you go with? Have your say in the comments section below.